Many years ago, I first heard of a gratitude journal from Oprah. She shared the concept on her show, and talked about writing 5 things down each day that she was thankful for. Off and on through the years I have followed Oprah's lead and reflected daily on the things for which I am grateful. chat was Appreciation and Gratitude. Each week my co-moderator, Holly Sutherland, and I research our chat topics to create engaging, thought-provoking questions. Can we teach gratitude to students? Is it something that we should look for in lesson plans? Dr. Robyn Silverman shares ways that parents can teach gratitude to teens, and many of those ideas can be used in education. Want some practical ideas? Just Google "teaching gratitude lesson plans" (without the quotes) for a ton of great ideas! We are very blessed at the school where I work. We are part of a school system where character is part of the mission statement and is carried out in our school recognition programs. The school is full of building and classroom leaders who are collaborative, compassionate, and smart. The community stakeholders are supportive and involved. The students are spirited, empathetic, accepting, and eager to learn. My Thanksgiving wish is that everyone can find or create an atmosphere like the one in which I am lucky enough to work in each day. What are you thankful for at work? 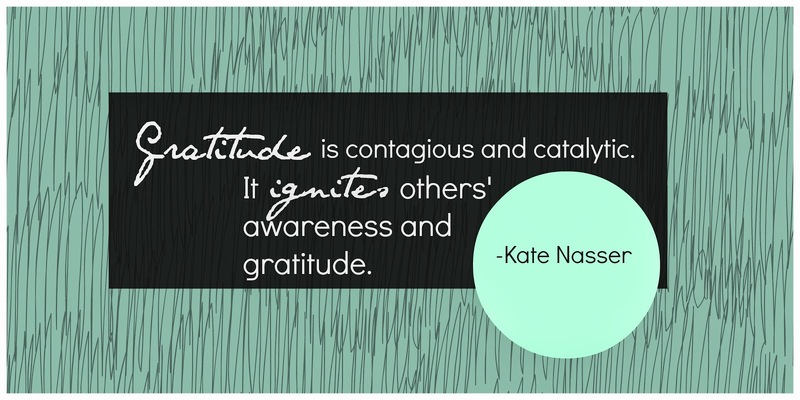 Do you have a culture of gratitude?